When the late John Crosby created an opera house in the middle of the New Mexican desert, just north of Santa Fe, one of the operas in its inaugural season (1957) was Richard Strauss’s Ariadne auf Naxos. As much as possible, Crosby featured a Strauss opera every season, with the goal of eventually completing the Strauss canon of 15 operas. Sadly, he didn’t succeed—Guntram and the monumental Die Frau ohne Schatten eluded him. But he did bring Ariadne auf Naxos to Santa Fe four times, the last in 1999 starring the great American soprano Christine Brewer in the title role. It was one of the most memorable experiences in my many trips to Santa Fe Opera over the course of 20+ years. The current new production (seen Aug. 1) is directed by UK-born, Canada-based stage director Tim Albery. His work is well known to Toronto audiences, including Strauss’s Arabella which opened the 17/18 Canadian Opera Company season, a co-production with Santa Fe. Albery also directed Götterdammerung in the 2006 Ring Cycle that opened Toronto’s Four Seasons Centre for the Performing Arts, revived in 2017. Typical of Strauss, Ariadne is rather conversational, especially in its Prologue, which poses a special challenge to non-German audiences. Albery has chosen the solution of presenting the Prologue in English, which is not unusual. More unusual is presenting the piece’s second half, known as the ‘Opera,’ in both German and English. The comedians sing in English and everyone else in German. This has the effect of emphasizing the cultural divide between the upper crust (“the richest man in Vienna” who hosts the evening’s entertainment) and the commoners (the Commedia dell’arte troupe). There are two notable exceptions—Harlequin’s beautiful arioso and Zerbinetta’s show stopping “Grossmächtige Prinzessin” are sung in German. Perhaps to save the singers from having to learn a different version, which they’ll likely not use again? 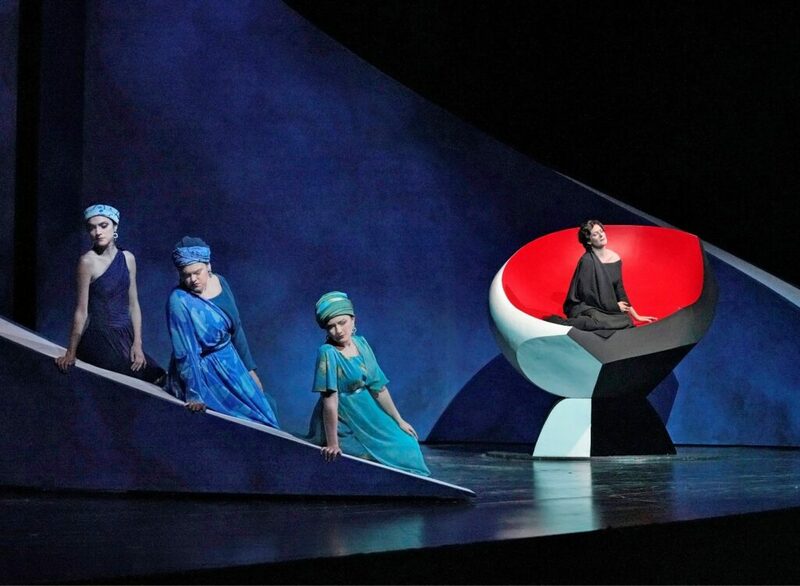 The set design by Tobias Hoheisel is interesting—the Prologue old and grungy, but the Opera sleek, highly stylized and ultra-modern. The contrast strikes me as a deliberate statement, underscoring the class divide of Viennese society. The rich owner is singularly lacking in taste when it comes to the arts. To him, the ‘commoners,’ that is, the ‘show people’ don’t deserve luxury treatment (hence their drab digs in the Prologue), but his guests are to be pampered. The Comedians are decked out in 1930s “Rag Time/Soft Shoe Drag,” as far away from elegant Mitteleuropa as possible. Ariadne auf Naxos is one of Strauss’s greatest creations—its sublime score is delicious, and its wry observations on the human condition—life, love, art and social class—are hilarious. And when it’s as well done as in this Santa Fe production, it’s an unalloyed pleasure. Bruce Sledge (Percy in the recent COC Anna Bolena) with his fearless high register was terrific as Bacchus—a role that has caused so many tenors to crash and burn! Liv Redpath (replacing a pregnant Erin Morley) was a captivating Zerbinetta, acting up a storm and singing with crystalline tone, trilling on a high E in her barnburner of an aria. 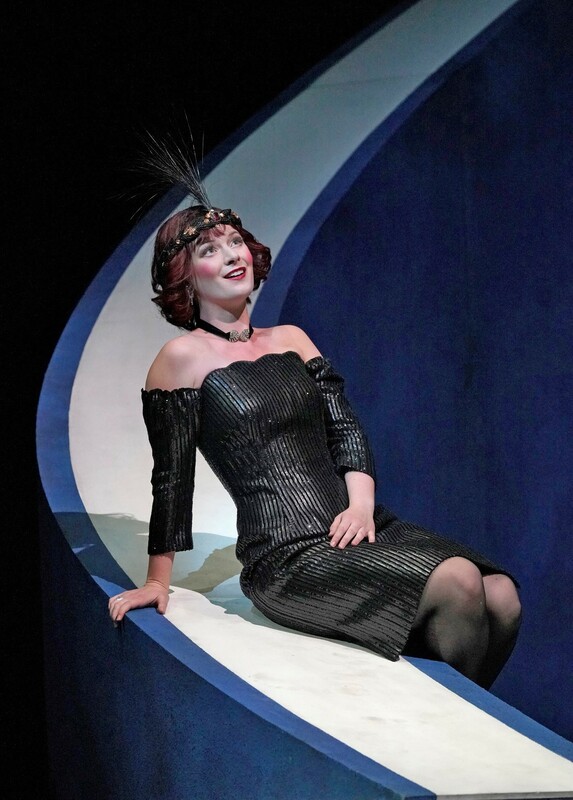 Amanda Majeski, an elegant and refined Countess Madeleine in Capriccio last season at Santa Fe, is now the idealistic, ardent yet naïve Komponist, singing with big, gleaming tone—her “Musik ist eine heilige Kunst” was a highlight. She is convincing in the trouser role, costumed in typical 19th-century ‘composer’s garb,’ looking like a reincarnation of Chopin! In this production, the Komponist comes back at the end of the Opera and kisses Zerbinetta who’s obviously going to show him a thing or two about love! 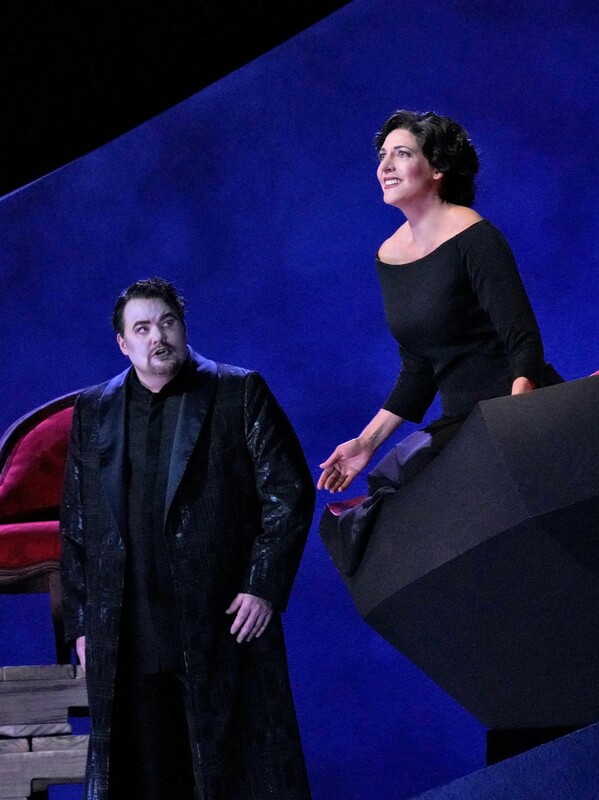 Ariadne is played by South African soprano Amanda Echalaz, a singer whose work I’ve enjoyed, most recently as the Hostess in Thomas Adès’ The Exterminating Angel at Metropolitan Opera. Her Ariadne has rich, powerful tone, and her characterization is sympathetic, dignified, desperate and full of anguish. Her timbre has darkened a great deal and as a result, her top wasn’t ideally free in both “Ein schönes war” and “Es gibt ein Reich” which emerged with a less than ideal amount of chiaroscuro shading. The slow tempi of conductor James Gaffigan in her two arias didn’t help either. 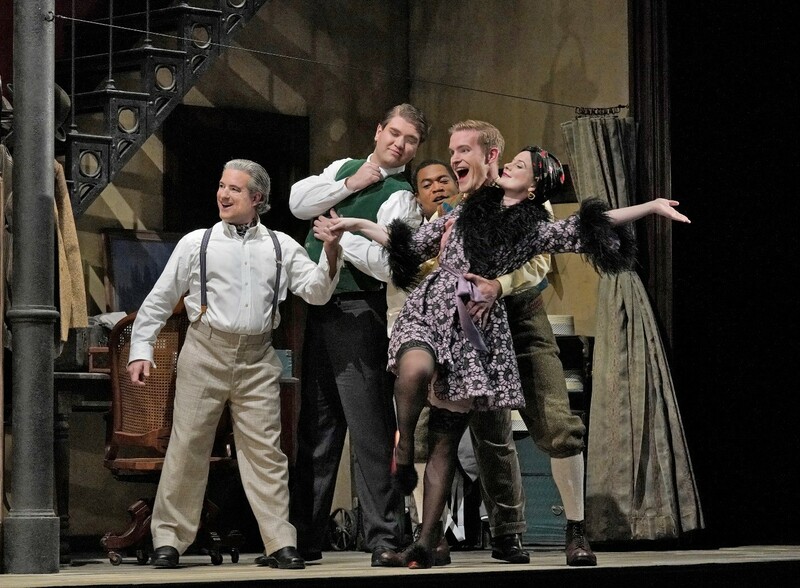 Bruce Sledge (Tenor/Bacchus) and Amanda Echalaz (Prima Donna/Ariadne) in Santa Fe Opera’s Ariadne auf Naxos. Photo: Ken Howard. The supporting roles were all vividly cast—I particularly enjoyed the lively Harlequin of baritone Jarrett Ott, the snooty Major Domo of Kevin Burdette, and the flamboyant Tanzmeister of Brenton Ryan. Rodney Gilfry was Musiklehrer—talk about luxury casting! The Santa Fe Opera Orchestra under Gaffigan sounded lovely as usual. All in all, this Ariadne continues to make Santa Fe a destination of choice when it comes to Richard Strauss. Not to be missed!